Bain is a terrific drummer in the Elvin Jones tradition, equally established on both sides of the Atlantic, and he’s assembled a top-flight band for this suite of compositions. The spirit of late-period Coltrane looms large over the project’s opener; ‘Accompaniment’ is a classic free-rhythm exploration in the style of ‘Sunship’, though Jon Irabagon is very much his own man on tenor, with a light-toned, fleetly accurate voice. Bain declares that the project ‘takes jazz as a metaphor for positive change in the world’ and that it ‘seeks to link improvisation with the increasingly topical issues of human rights, community and social transformation’. 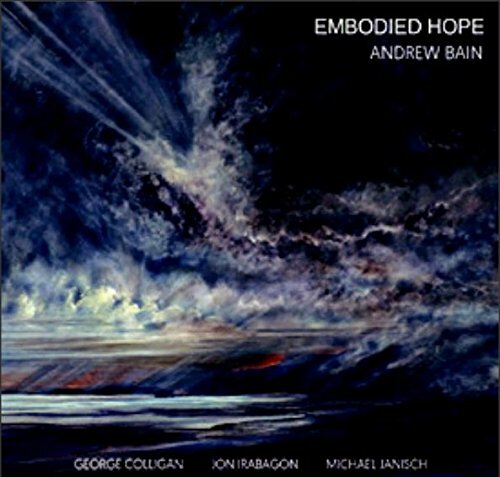 This may seem to indicate a rather daunting experience for the casual listener, but the second track, ‘Hope’ commences with an uplifting, melodic and eminently accessible theme, buoyed by Bain’s thunderous drums, allowing Irabagon and Colligan to showcase their super-hip NYC chops and range from inside to outside and back without losing the initial joyous impetus. ‘Practice’ has fun swapping from an uptempo odd-number meter to a super-swinging groove and back again, with Colligan and Irabagon making sparks fly; ‘Responsibility’ has a swinging backbeat and an artful Steely Dan quote from Colligan, generating some down-home bluesy heat; elsewhere there are some ingenious writing devices that bely Bain’s modest claim that he’s a writer of music for improvisors rather than a composer, like the shifting, overlapping tempos of ‘Surprise, and the structures lurking within the free-sounding ‘Listening’. The overall impression is of a band of superb players at the top of their game, all pushing each other to greater heights of improvisation with spirited good humour. However, it’s also Bain’s compositional strength that ties the project together. While the players are forever pushing at the boundaries, the writing is firmly rooted in the melodically comprehensible, high-energy extrovert post-bop tradition, and this makes the album an extremely uplifting, even accessible listen that succeeds in making straight jazz sound exciting and relevant. ‘Embodied Hope’ turns out to be a highly appropriate title.